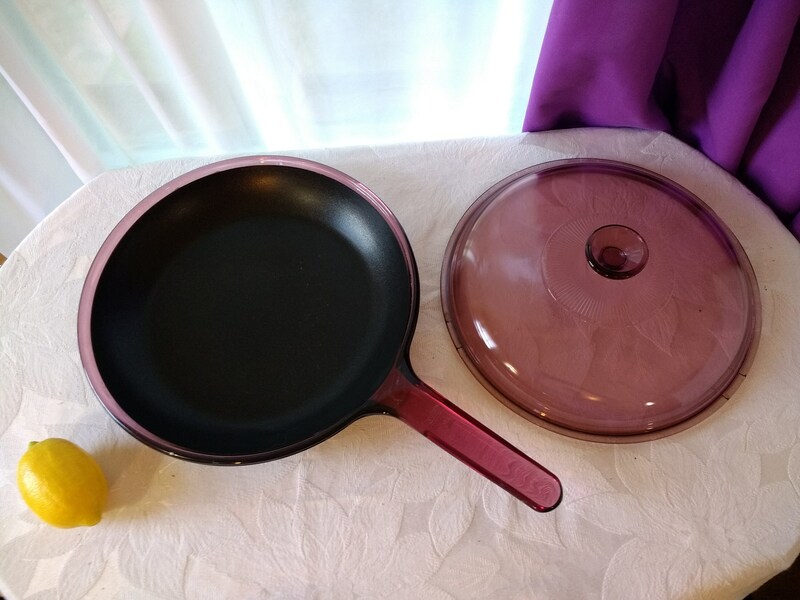 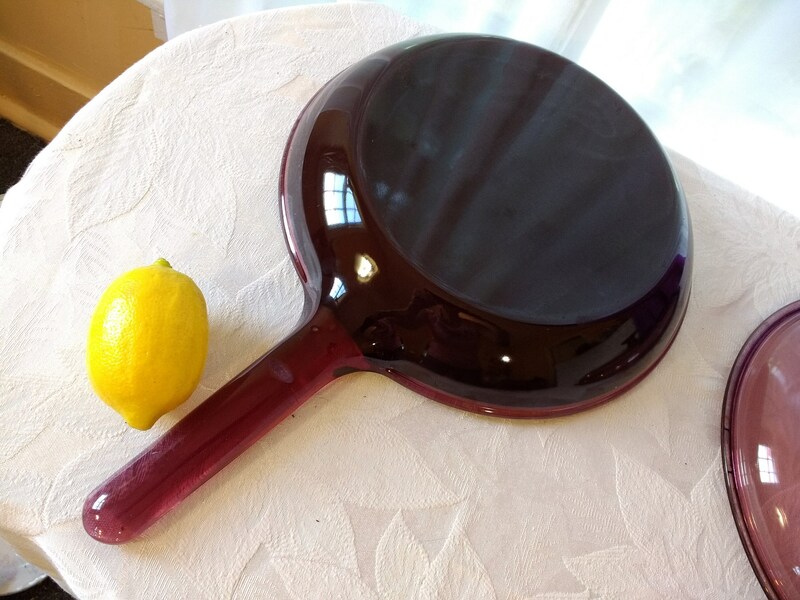 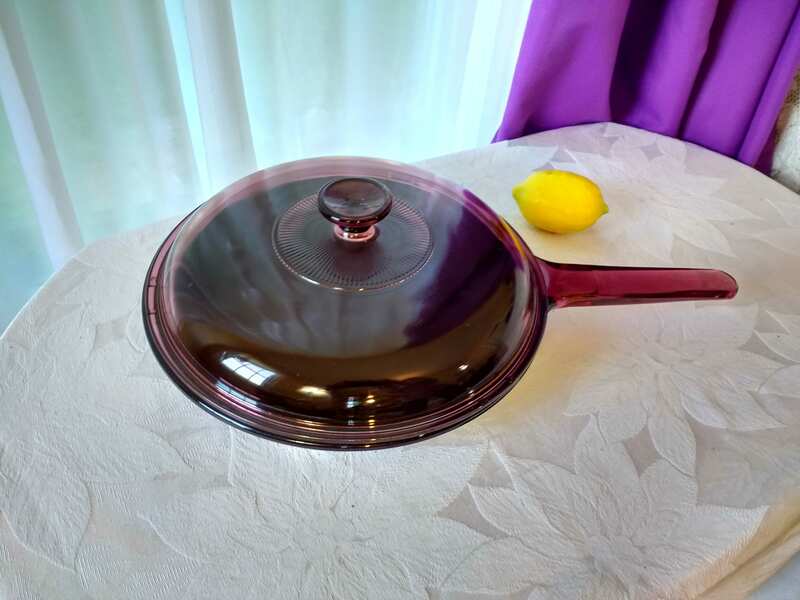 Corning Visions USA 10 B Teflon Coated Cranberry Glass Frying Pan Vision Ware Pyrex Non Stick Stove Top Range Cookware ON SALE! 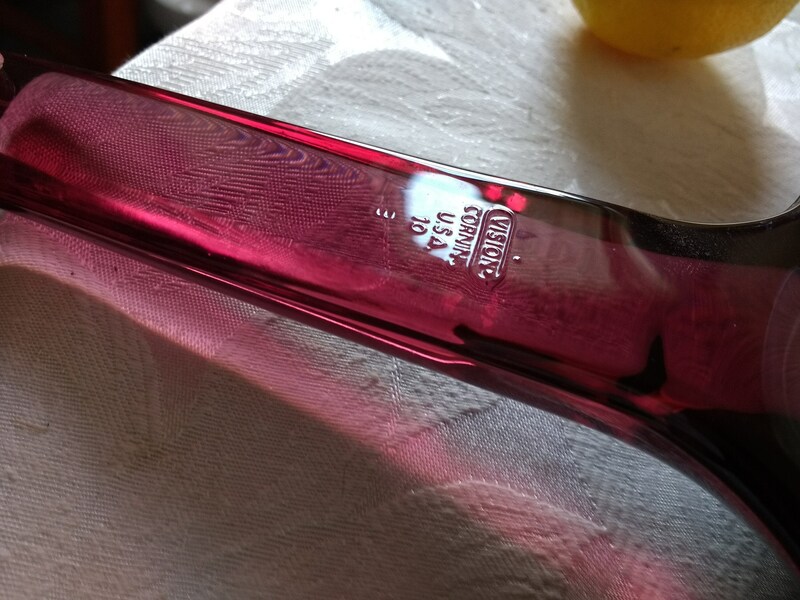 No chips dings or deep scratches in the glass. 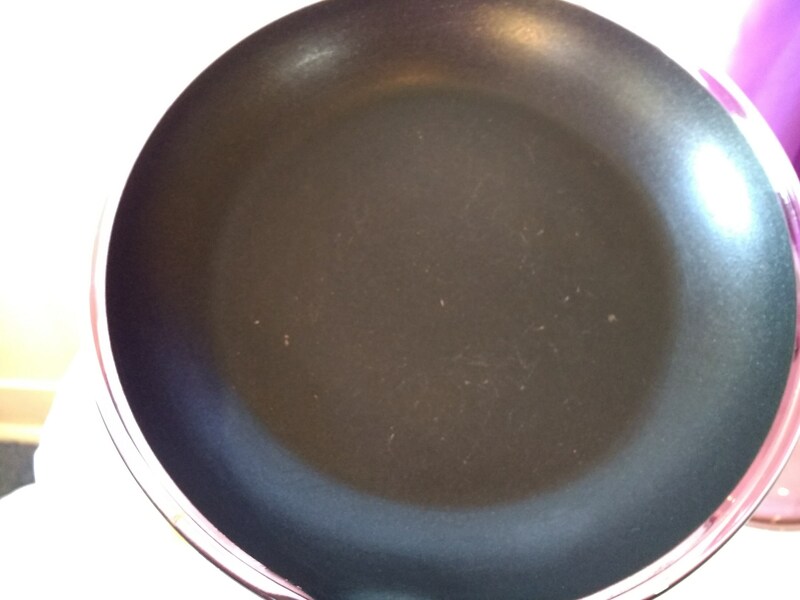 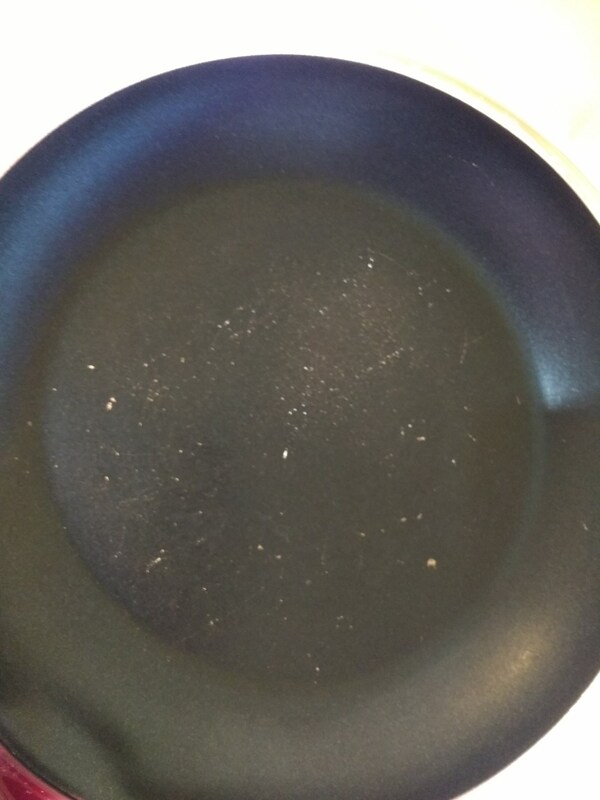 Teflon is in pretty good condition for age with no large areas of peeling or flaking and some pin point areas of wear. 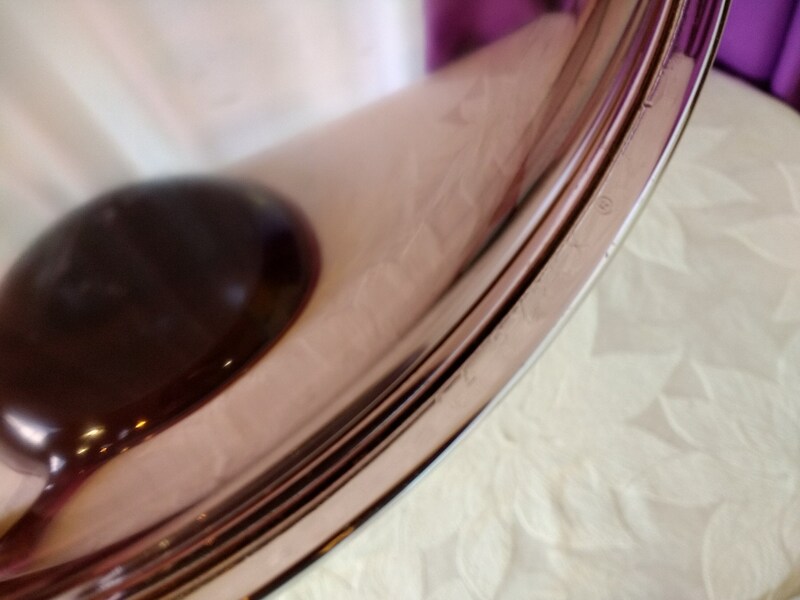 * The last picture is what I call the "light" test. 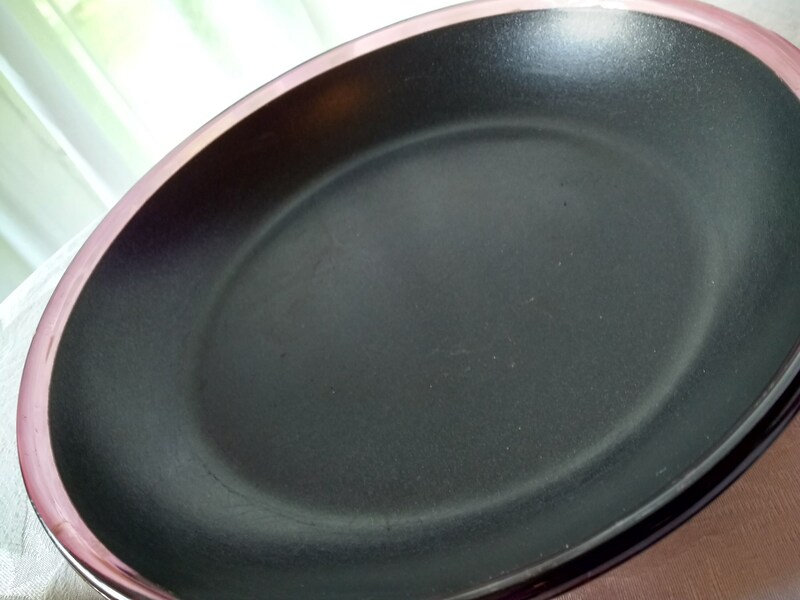 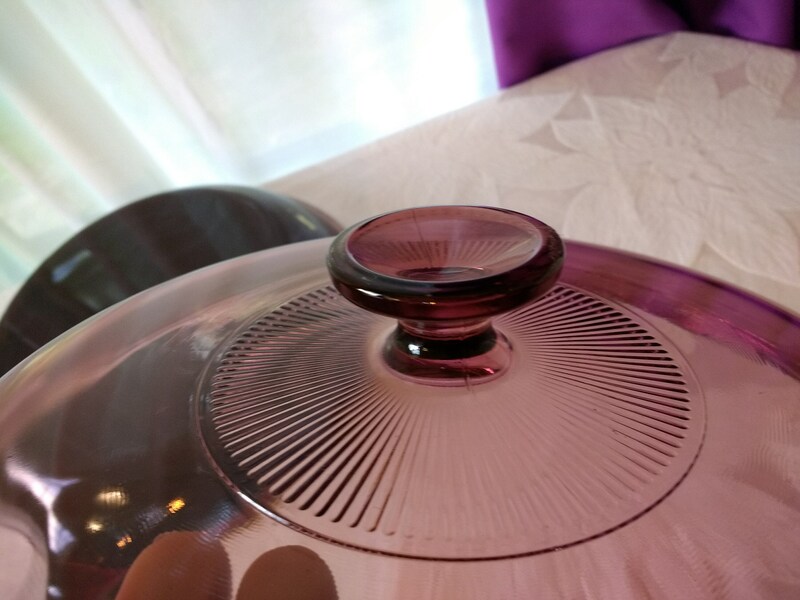 I hold the coated dish up to the light so it vividly shows any true wear. 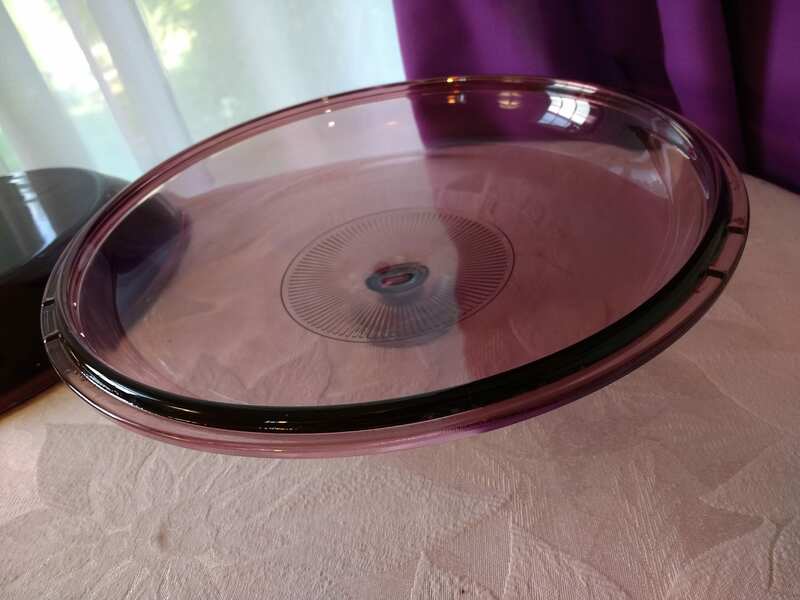 For its age, this dish is in great condition!